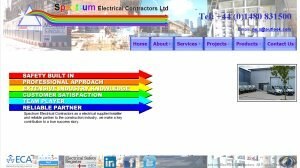 ChangePlan Ltd was called in to create a web presence for Spectrum Electrical Contractors. We developed a site to suit their specific needs. Not only show casing the services and products they offer to their exacting standards, but also an easy to use, interactive document management site, allowing them to communicate & collaborate with their clients, designers, suppliers and contractors. Their online service allows essential project documents to be available 24/7 whenever and wherever they are required. ChangePlan Ltd was asked to create a web window for Romero (UK). 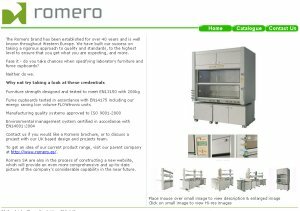 We developed a site to show case their modular design for laboratory furniture.